What has Changed and What is Changing? 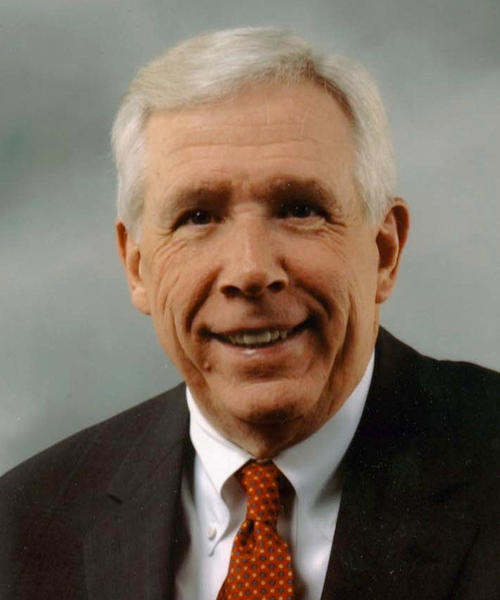 Frank Wolf is the former representative from the 10th congressional district of Virginia. He has traveled extensively to conflict areas and headed several efforts to address human rights concerns. Frank Wolf is also the Distinguished Senior Fellow of the 21st Century Wilberforce Initiative. He was elected to Congress in 1981 and served Virginia’s 10th District for 17 terms. Wolf authored the International Religious Freedom Act and legislation to create a U.S. State Department special envoy to advocate for religious minorities in the Near East and South-Central Asia. The founder and co-chair of the Tom Lantos Human Rights Commission, Wolf’s honors include the 2015 Wilson Chair in Religious Freedom at Baylor University, the Presidential Eleanor Roosevelt Award for Human Rights, and the Chuck Colson Center for Christian Worldview’s William Wilberforce Award. Emilie Kao is an attorney who has defended religious freedom for the last 15 years. She has worked on behalf of victims of religious freedom violations in East Asia, the Middle East, Europe and South Asia at the State Department’s Office of International Religious Freedom and the Becket Fund for Religious Liberty. Previously she worked at the United Nations and Latham and Watkins. Kao also taught international human rights law at George Mason University Law School as an adjunct law professor. She earned an A.B. degree in Near Eastern Civilizations and Languages at Harvard-Radcliffe College and a J.D. at Harvard Law School. She is a member of the Supreme Court Bar and the bar associations of the District of Columbia. Dr. Katrina Lantos Swett serves as President of the Lantos Foundation for Human Rights and Justice, established in 2008 to continue the legacy of her father, the late Congressman Tom Lantos. Under her leadership, The Lantos Foundation has rapidly become a distinguished and respected voice on key human rights concerns. Dr. Lantos Swett is the former Chair and Vice-Chair of the United States Commission on International Religious Freedom (USCIRF) and teaches Human Rights and American Foreign Policy at Tufts University. She currently serves as Co-Chair of the Board of the Committee for Human Rights in North Korea (HRNK) and the Budapest based Tom Lantos Institute. Dr. Lantos Swett also serves on the Advisory Board of UN Watch, the annual Anne Frank Award and Lecture, and The Warren B. Rudman Center for Justice, Leadership, and Public Policy. Lantos Swett earned a Political Science degree from Yale University at the age of 18, a Juris Doctor degree from the University of California, Hastings College of the Law, and a PhD in History from The University of Southern Denmark. Allen Hertzke is David Ross Boyd Professor of Political Science at the University of Oklahoma. An internationally recognized expert on religion and politics, he is also Distinguished Senior Fellow for the Institute for Studies of Religion at Baylor University. Hertzke is the author of many books, including Freeing God’s Children: the Unlikely Alliance for Global Human Rights(2004), and is editor of The Future of Religious Freedom: Global Challenges and Religious Freedom in America: Constitutional Roots and Contemporary Challenges. Most recently, he co-edited a two-volume project, Christianity and Freedom: Historical Perspectives, Volume 1 and Christianity and Freedom: Contemporary Perspectives, Volume 2(Cambridge University Press, 2016). As Visiting Senior Fellow at the Pew Forum on Religion and Public Life in Washington DC, Hertzke directed the 2012 study, “Lobbying for the Faithful: Religious Advocacy Groups in Washington DC.” Between 2008 and 2010 he served as lead consultant for the John Templeton Foundation to develop strategic recommendations for advancing religious freedom around the globe. Sharon Payt is the Executive Director of 21Wilberforce. She is a human rights lawyer and international development professional with over two decades’ of leadership experience in successful reform campaigns and executive-level management. She specializes in promoting government reforms while empowering civil society, both internationally and nationally. She has helped catalyze key reform movements impacting the U.S., Middle East, Central Asia, Eastern Europe and Africa. Previously, she was the Regional Advocacy Director for World Vision International, where she directed 15 countries for eight years, based at the Cyprus regional headquarters. Previous to that, she helped establish the U.S. State Department’s lead anti-trafficking office (the Office to Monitor and Combat Trafficking in Person) – becoming the first Senior Coordinator for Public Diplomacy. While serving as Senate staff for then-Senator Sam Brownback, she developed his international religious freedom efforts, while also promoting successful bi-partisan human rights campaigns on IRF, Sudan, international human trafficking, humanitarian responses, and refugee advocacy. She started in this field as an activist lawyer, on-site throughout Eastern Europe – defending democracy dissidents and embattled religious minorities during the Soviet demise – including in Russia, Azerbaijan, Albania, Bulgaria and Uzbekistan. In a previous life she structured large real estate deals, was a Senior Negotiator for the City of Los Angeles, a commercial real estate banker, and Vice President of Housing for one of the largest economic development corporations in the U.S. where she personally managed $35 million annually in new construction of low income, multi-family housing. Kent Hill is the Executive Director of the Religious Freedom Institute. Hill joined the RFI after six years as Senior Vice President at World Vision, one of the largest faith-based relief and development organizations in the world. He also served for eight years as Assistant Administrator for the U.S. Agency for International Development (USAID), responsible for U.S. foreign assistance to Eastern Europe and the former Soviet Union, and, subsequently, all USAID health programs worldwide. 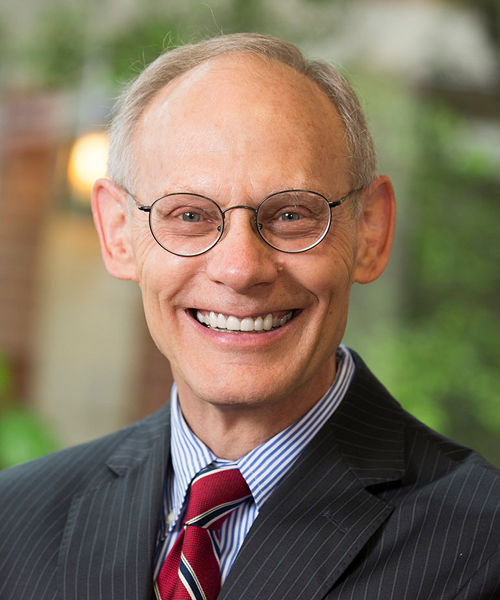 Earlier in his career, Dr. Hill was President of Eastern Nazarene College, and President of D.C.'s Institute on Religion and Democracy. In 2010, as a Vice President at the John Templeton Foundation, Hill, along with Tom Farr, conceived Georgetown's Religious Freedom Project and secured funding to launch the project. Dr. Hill has published a book on Christianity and the Soviet Union. His Ph.D. is from the University of Washington.